I would get that question after people read my book, The Attractor Factor, or read (or saw the movie) The Secret. They somehow assumed that the Law of Attraction replaced God. 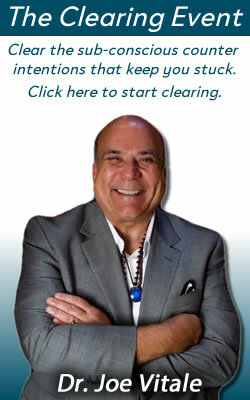 They somehow assumed that people who practice the Law of Attraction are playing God. But this unseen force is not only giving us life, It is nudging us in a certain direction, too. In a way, the force is “pruning” us. As you go about your life, you get bumped and rocked by events as a way for Life (God, Divine, etc) to direct you where IT wants you to go. The more you follow the nudges, the easier life gets. This blog post is an example. I was sitting, eating dinner with Nerissa, when the idea for this post entered my mind. I wasn’t looking for an idea. I was enjoying my dinner. But I’ve learned to obey the Divine’s inspirations. 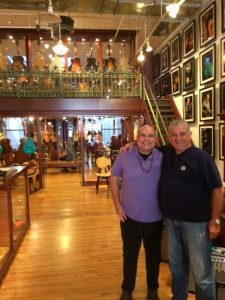 I was in New York City on business and decided to visit Rudy’s Music Store in SoHo. I knew it was famous, that Rudy Pensa is a renown collector of rare instruments, and I suspected it’d be worth the trip to see it. 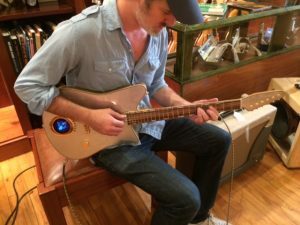 The beautiful store is two stories of new and old guitars, acoustic and electric, some highly collectible, all stunning. I was in awe of the place. In a display case was a 1938 D’Angelico New Yorker archtop guitar. If you know guitars, you just fainted. The late John D’Angelico is considered the Michelangelo of guitar makers. His instruments are sought after by collectors, musicians, museums, and fans. Books have been written about his style and his guitars. 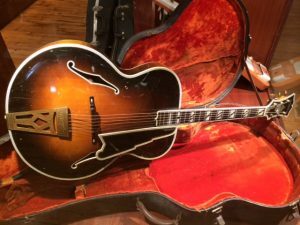 Even Rudy, the owner of the shop, created a mammoth coffee table book (Archtop Guitars) with some of D’Angelico’s guitars described inside, knew D’Angelico, and owns a few of his works. D’Angelico made 1,164 guitars in his life. (He died in 1964). He didn’t hand carve all those guitars for fame or fortune. And there I was, staring at one of them. Gordon, the shop keeper, pulled the 1938 masterpiece out of the case and handed it to me. “I can play it?” I asked. I held the archtop as if it was out of a museum. I strummed it and heard the sound of angels. I looked it over and saw God’s handiwork in a guitar. I could tell the guitar was well played, well loved, and still in flawless shape. Later, Rudy showed me the ledger in his book revealing the serial number for the guitar, year made, and who it was made for, all in D’Angelico’s handwriting. This is where I felt the inner tug at my heart that I think is the Divine calling me. I’ve learned to follow those tugs. After Rudy told me the price, and I gasped, I asked if there was a discount for a guitar lover who would probably buy other guitars from him. He laughed, ran some numbers, and gave me a slight break. I only felt directed to go to one store in all of New York City. I could have gone anywhere. And while there, the D’Angelico seemed to call out my name. I could have ignored it. I believe all of this was Divinity aiming my direction. Later, after I left the store and decided to walk two miles back to my hotel, I wondered what would come of my buying an investment grade work of playable art. Then another inspiration hit me. I realized that my forthcoming book, The Secret Prayer, could be enriched with the story of how I was led to the guitar. You see, I had said a prayer before I left that morning, asking to be led to the right place and to experience a joyful event. I said my prayer in a state of gratitude, made a request for an exciting day, and took action by following my hunch to go to Rudy’s. From there, I simply allowed the miracle. In other words, God is directing me (and you, too, of course), and we can attract (or allow) miracles when we act on the signs and opportunities we are given. But we have to participate. 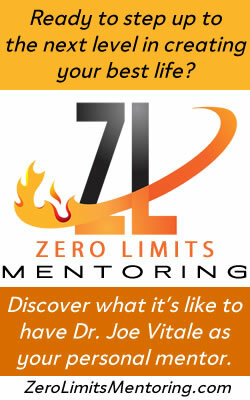 But when you say YES to the inspirations, and take action, you are following Divinity’s plan for you. When you follow inspiration – whether to build a guitar of the caliber of a D’Angelico, or to buy one – you are following the Divine’s path for you. But you may need a razor sharp sensitivity to hear the whisper, and total faith to take action on the prompting. So the next time you feel stuck or stopped, ask if Divinity is trying to redirect your path or your process. Or the next time you receive a nudge to leave dinner early, or buy a guitar, ask if you are ready to step out in faith. PS – Rudy’s Music Store in New York City is right here. PPS – Yes, I was also practicing “prosperous purchasing” by getting the 1938 D’Angelico New Yorker, a concept I explain in my free book, Attract Money Now.